The renowned Russian fashion designer Vyacheslav Zaitsev presented a brand-new collection of school uniform designs in April. 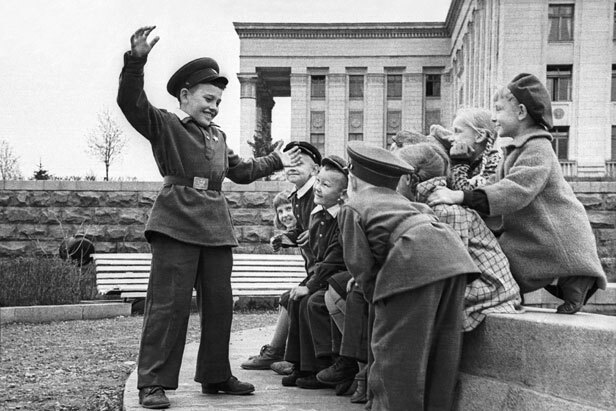 RIR in its turn presents a retrospective view at the Russian school uniform's development from 1960s till present day. According to Zaitsev, school uniforms make students more organized and create a festive atmosphere. “I think it’s great when all the children are neatly dressed with no bows, ribbons or lace, and have neat hairstyles,” the designer said. The clothing designed by Zaitsev has special stiffening ribs to make sure children develop correct posture. Uniforms designed by the Slava Zaitsev Fashion House will be sold in all regions of Russia. A school uniform set will cost between 3,000 and 3,500 rubles ($100-$110). The school uniform collection features blouses, shirts, turtlenecks, skirts, summer dresses, trousers, vests, hats, cardigans and classic suits.